In Halfway to Dinner, we show you how to stretch your staples—or your seasonal produce—every which way. Today: Mallika Basu, blogger and cookbook author, gives us a make-ahead curry sauce that has dinners covered. An Indian meal really hits the spot after a long day, but making a classic tomato curry base for meals involves a motley of steps: softening and caramelizing onions and cooking ginger, garlic, and spices until they go from raw and pungent to something altogether more aromatic and irresistible. It can be a tall order during the week! 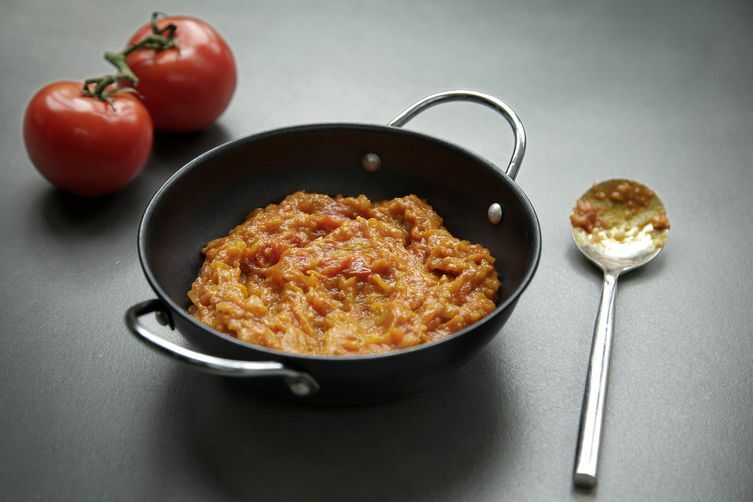 The good news is that Indian Tomato Curry Sauce is simple to make ahead over the weekend and turn into versatile weekday meals later. The trick is to keep the sauce relatively light on spices, providing opportunity for tweaking the recipes later. Add a touch of whole spices here, a touch of tamarind there, and you’ll never know the same sauce provided a starting point! This is the Indian equivalent of a wok stir-fry and a go-to quick meal after a hard day’s work. I love making this on days when I fancy a spice kick without over-indulgence. 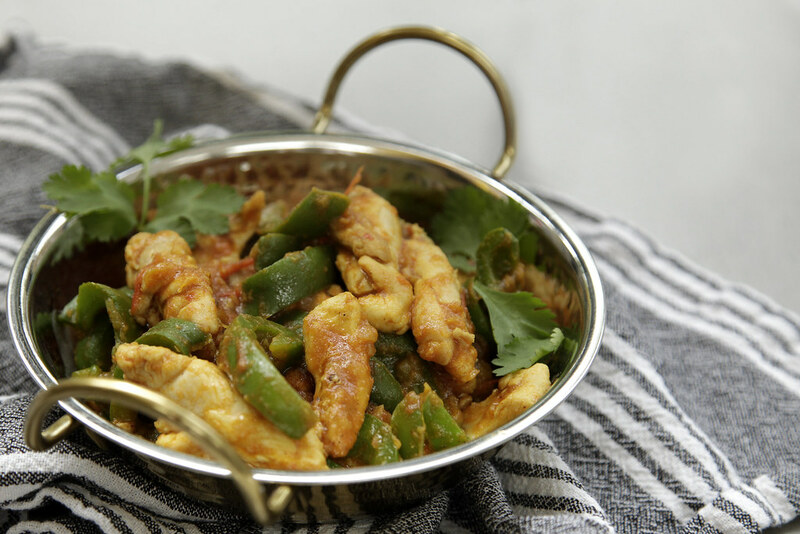 To make it, stir-fry strips of chicken thigh fillet with green peppers, add 1/2 cup of the curry sauce, finish with a dash of garam masala, and serve topped with fresh cilantro over a bed of lettuce or rice. I always keep some raw king prawns in my freezer to make this dish when guests show up at the last minute—it’s a fantastic one-pot meal that is delicious and impressive at the same time. 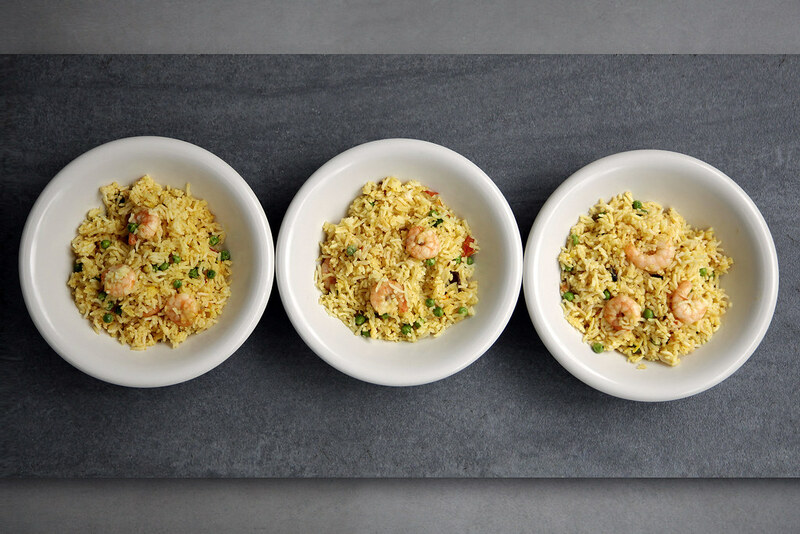 Normally, you would sauté the rice with the prawns, but my cheat’s method ensures that you end up with fluffy grains of perfect rice every time: Sauté raw king prawns in two tablespoons of the curry sauce and a tablespoon of yogurt. Cook a cup of basmati rice and stir it through the prawn curry with a large handful of peas. It’s always a struggle to convince the non-fish lovers in my household to embrace fish, but this curry sauce often makes them compromise. I’ve tried this recipe on salmon fillets but here, it is resplendent on sea bass. To make it, you’ll need to convert the sauce into something with a more South Indian vibe: Sizzle 1/2 teaspoon of cumin seeds and the same amount of mustard seeds in 1 tablespoon of coconut oil with 20 fresh curry leaves. Add a cup of the sauce and 1 teaspoon of tamarind paste. 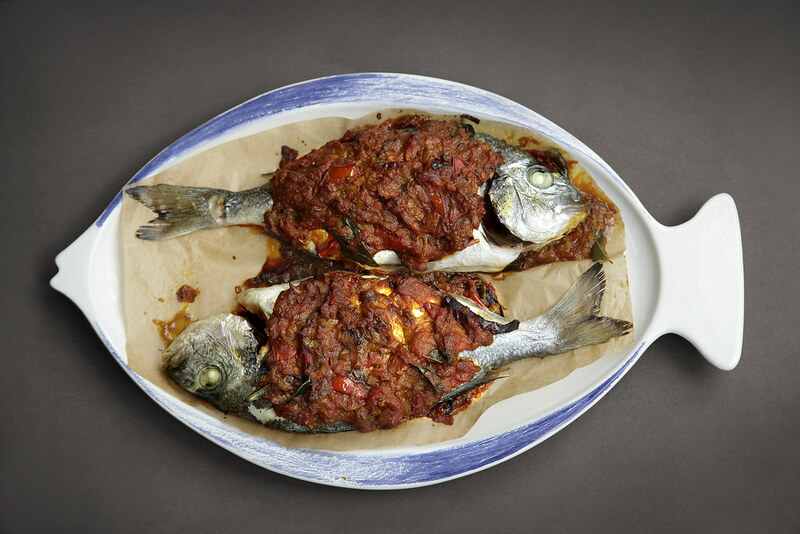 Make two slits on the sea bass and generously slather the sauce over them. Bake for 20 minutes in a hot oven for a dish that’s delicious with a side of spinach and brown rice. I chanced upon Palak Channa when there was literally nothing left in my kitchen apart from two tomatoes. It’s a wonderfully satisfying meal that you can make from ingredients in your pantry and freezer. I’ve also served this at dinner parties as a vegetarian side dish to great aplomb. To make it, sizzle a bay leaf, 1/2 teaspoon of cumin seeds, and a small stick of cinnamon in 1 teaspoon of oil. 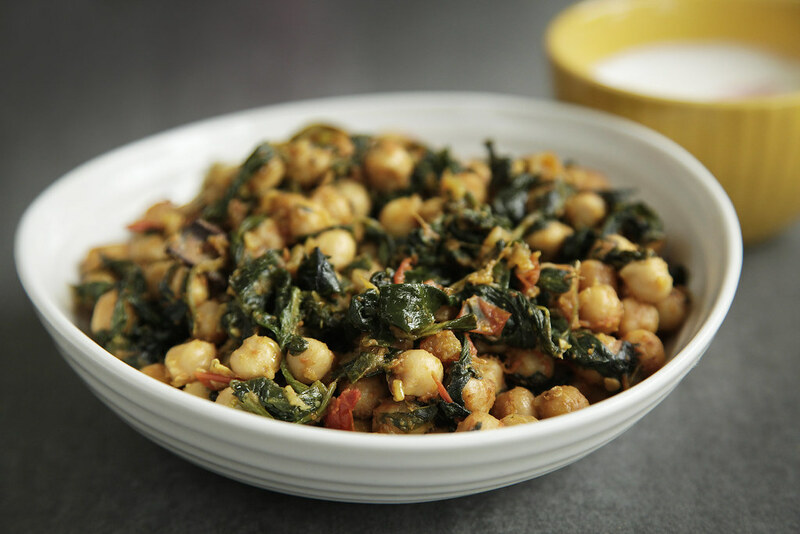 Mix 2 tablespoons of the sauce into the spices, then add a drained and rinsed tin of chickpeas and 2 cups of chopped spinach. (I often use 3 to 4 cubes of freshly frozen spinach.) Finish with 1/2 a teaspoon of garam masala and mango powder. Serve this with yogurt spiked with black salt and warm pita breads for an effortless weekday meal. More: Make your pita bread at home. 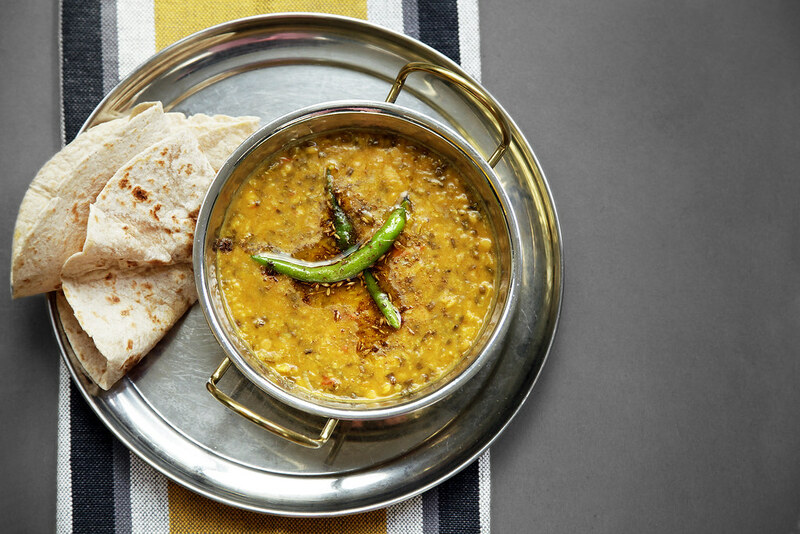 Punjabi Dal is a thick, wholesome version of the ever-popular lentil curry that bursts with flavor. Popular in North India, this is best with a dollop of ghee, scooped into roti parcels and eaten with with your fingers. On my holidays in Delhi as a child, the rotis would be laced with white butter, which we kids would promptly smear all over our mouths as lip-gloss! In case you’re wondering, I don’t roll out the rotis on battle-ravaged days—I’ll always have a pack of ready-made ones in the freezer for those meals! Once you make this curry, cool it and store in 1/2-cup portions. It should last 3 to 4 days in the refrigerator and up to 2 months in the freezer. This article was written by Mallika from Food52 and was legally licensed through the NewsCred publisher network. Previous articleIf Media Brands Were Cocktails, What Would They Be? Next articleSalad Isn’t the Problem!